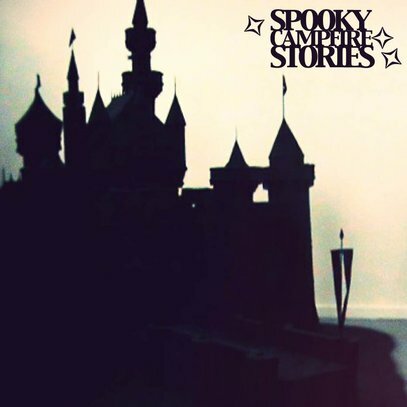 Even if you don’t know anything about Spooky Campfire Stories, their name instantly makes you want to hear their music – and this is going to be a rewarding experience. The stories they tell are spooky in the best possible way, meaning that you can’t resist the temptation to stay by the band’s imaginary campfire till the very last subtly haunting tale. These are songs about the inherently weird nature of ‘normal’ mundane reality bombarding us daily with a myriad uncanny images and absurd messages that induce strange daydreams, fantasies and nightmares. Spooky Campfire Stories are more than eager to remind us that we are our own worst ghosts, and contemporary life itself is a haunted house of sorts. Musically, it’s equal parts pop accessibility and trippy experimentation. Think indie and experimental rock mavericks like Yo La Tengo and Sonic Youth. Spooky Campfire Stories have entered the Lithuanian indie scene just about half a year ago. 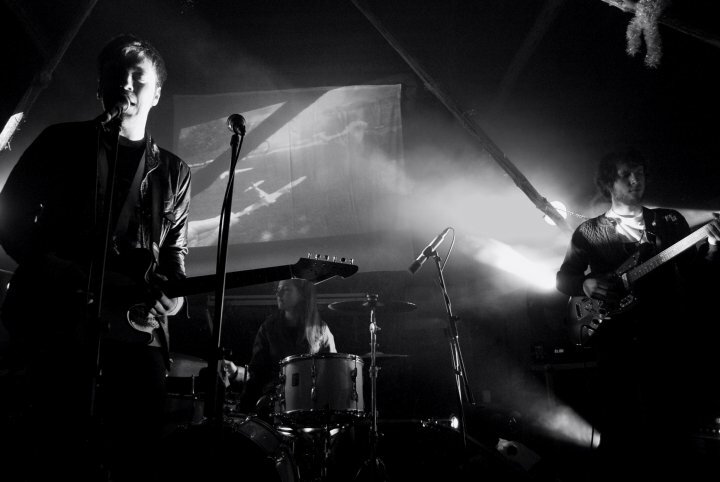 The young band has won the Lithuanian Eurorock competition only after a few month of their existence. This proves that you do have to play for years to be noticed as long as you have a fresh and distinctive sound. Having made an impression of something weird and never heard before the band continues to discover and shape their unique sound. 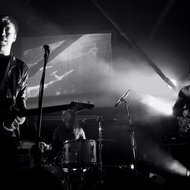 The sound which involves elements of pop, indie and shoegaze is a combination which is quite novel to the Lithuanian indie scene. By this day the band has played a number of gigs in Germany (The Olgasrock Festival and others) and Lithuania (in local venues and also at the international travelling art event The Independent Drawing Gig). Now the band is recording their first EP. Every song is a kind of spooky story (as though from the real life, happened to a friend of a friend of a friend) told at the campfire. There is an element of suspense in every song reflected in the onsets of guitar or drum solos as well as by electronic sound effects. Lyrics are highly metaphorical, inspired by such mundaine things as old horror movies, Discovery channel and simple everyday events. Space, mysteries, dreams, senses and experiences are the main themes. Despite appearing very sedate and focussed on stage the band actually creates a lightsome and upbeat kind of sound with a subtle hint of melancholy in every song.